Don’t miss Michael Booth’s and Jennifer Brown’s book signing at the Tattered Cover, 2526 E. Colfax Ave. in Denver, at 7:30 p.m. Friday, March 14. Their book, Eating Dangerously: Why the Government Can’t Keep Your Food Safe … and How You Can, will be available for $24.95. 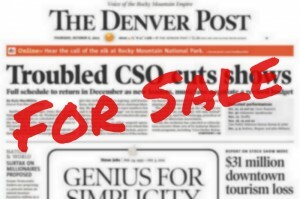 Michael Booth is the former lead health care writer for The Denver Post and has covered health, medicine, health policy and politics throughout his twenty five-year journalism career. Jennifer Brown is an investigative reporter with The Denver Post and has covered health, medicine and health policy for the past decade. 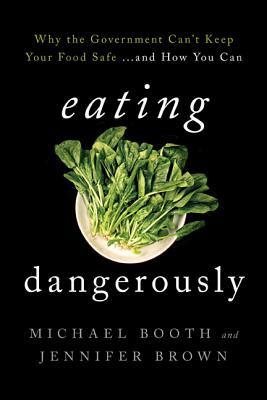 Booth and Brown will discuss and sign their new book Eating Dangerously: Why the Government Can’t Keep Your Food Safe…and How You Can ($24.95 Rowman & Littlefield). Dying from a cantaloupe shouldn’t have to rank high on a person’s list of fears. Nor should people have to worry that a spinach salad, peanut butter or even an undercooked fast-food cheeseburger might kill them. Yet — after Colorado-grown cantaloupes killed 33 people in a 2011 outbreak, and salmonella-tainted chicken sent hundreds to hospitals in 2013 — Americans are staring at their plates and wondering what lurks there. Nearly 50 million Americans will get food poisoning this year. That’s one in six people who will get sick from something they ate. More than 100,000 will go to the hospital; 3,000 will die.